Ask a dozen people what their favourite Jeff Barry song is, and you're as likely as not to get a dozen different answers. The career of this legendary songwriter-producer has gone through so many incarnations - from his beginnings at RCA Records and E.B. 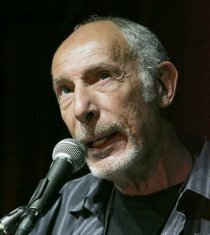 Marks Music as vocalist and staff writer, respectively, to his work with Ellie Greenwich and Phil Spector and the girl groups, from Red Bird to Bang to Steed, from The Monkees to The Archies followed by a natural progression to Hollywood and movies and TV - that discussing Jeff Barry's body of work is like talking about that of several people. Indeed, Jeff himself must have felt as though he was more than one person (or, at times, he's bound to have wished he were) as the seed first planted in school hallways in the Fifties morphed into a mighty oak during the Sixties. 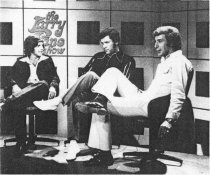 While the decade moved forward, and society and its soundtrack progressed, Jeff Barry stood tall, like a majestic tree, and weathered the storm. He survived the global loss of innocence and naiveté; he held his own against the British Invasion; he kept his head while all around him were losing theirs (to drugs, mostly); and he had the last laugh, all the way to the bank, when two tracks he produced - and, in one case, wrote - received Record of the Year honours by the Recording Industry Association of America. Jeff's songs have been a part of pop culture for so long that it's impossible to picture a life without their existence. Many of his tunes have been used in movies, television shows, commercials, even on Broadway; "Chapel Of Love" has been performed or played at countless weddings; and "Sugar, Sugar" can be heard in places ranging from the soundtrack of the 1995 chick flick Now And Then to TV's The Simpsons to an advert for the Indonesia Sugar Company. Both "Tell Laura I Love Her" and "Leader Of The Pack" have been held up as examples of the ultimate teen-tragedy song. Even if Jeff's name isn't as widely recognized as those of the artists who recorded his songs, those songs are known and loved all over the globe - and, by extension, so is Jeff himself. It is sometimes easy to forget that Jeff did not originally aspire to be a composer when he entered show business, just as he did not originally enter the world with the name under which he composed. 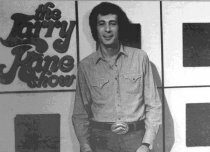 On the set of The Larry Kane Show, 1971 - and Jeff wishes he still had that belt buckle! Another from the book's photo shoot - check out that Afro! Born Joel Adelberg in Brooklyn, New York on 3 April 1938, the boy who would become Jeff Barry had an early affinity for music. When he was six or seven, his mother wrote down a song he'd made up. It went something like this: "I got a gun, I got a saddle, I got a pony too / I've even got a sweetheart, that sweetheart is you." Gun? Saddle? Pony? Yep, the boy not only loved music but also girls and cowboys, though not necessarily in that order. He had a cowboy hat, outfit, pistols, probably even boots, but was forced to pass on the saddle or pony; no stables existed at the Circle A Ranch. Jeff's childhood was unspectacular; he wasn't a rebel, he wasn't a child prodigy (his fondness for cowboy songs notwithstanding), and he certainly wasn't a blueblood. His family was working class Jewish, fairly common for the times and the neighborhood. There was a Depression going on at the time of Jeff's birth, and the start of World War II was just around the corner. Jeff's father, an insurance salesman, was blind, his sister mentally retarded. When Jeff was seven years old, his parents divorced, and his mother moved him and his sister to Plainfield, New Jersey, where they resided for several years before returning to New York. Living conditions were less than optimal. That formative period in Jeff's life brought him a rather unpalatable taste of poverty and helped shape him into the man he would grow into - smart as a whip, talented, and successful on every scale, along with a somewhat melancholic side which, despite being tempered with a keen wit, a generous and fun-loving nature and a wicked sense of humor, would never leave him. By the time he was in his teens, Jeff, who in his words had "always loved to perform/show off," was singing with a group of friends at school, and he continued singing, this time onstage at various functions, while in the U.S. Army Reserves after graduation. He was stationed at Fort Knox - a somewhat prophetic circumstance, considering that, within a few short years, everything he touched would turn to gold. After his commission ended, he enrolled at New York City College to study design engineering, but music had become his passion by this time and he was cutting more classes than he attended in order to sing and perform. The moment of truth came when a professor at the college gently suggested to Jeff that he should find a way to make music his livelihood, because he was a lot better at it than he was at engineering. Probably this was not strictly true; Jeff has a brilliant mind and is a natural-born inventor, and he most likely would have been able to succeed at anything he put his hand to. But it was fair to say that he was, well, distracted - and, besides, he was offered an alternative that was just too good to turn down. "I didn't leave college to pursue a singing career," Jeff explains, "so much as to take the offer of $75 per week to write songs - big money in 1959!" It was quite common during the late Fifties in New York to know somebody who knew somebody in the music business. For Jeff, the first somebody was his cousin, who introduced Jeff to the second somebody, a publisher named Arnold Shaw. It was the late Fifties, and Jeff was out of his teens and ripe for a place in show business - as a singer. But because his keyboard skills were rudimentary and he was unable to play other people's songs, Jeff auditioned for Shaw with his own compositions. Shaw was more impressed with Jeff's songs than with his singing (odd, since Jeff has a wonderful voice and a fantastic range) and signed him as a staff writer for E.B. Marks. Through Shaw, Jeff also obtained a recording contract with RCA Records, with legendary songwriter/producers Hugo (Peretti) and Luigi (Creatore) at the production helm. During the next few years, Jeff paired up with other writers such as Beverly Ross, Ben Raleigh and Artie Resnick to compose songs for other people to record, and he cut a few sides himself, like his first release for RCA, "It's Called Rock And Roll" b/w "Hip Couple" (both compositions are credited to his birth name, but the single itself was released under his new professional nom de plume). In 1960, Jeff realized his first pop hit with "Tell Laura I Love Her", written with Raleigh, recorded by Ray Peterson (#7 U.S.) and subsequently covered by Ricky Valance, who took it all the way to #1 in the UK. Although he had no way of knowing just yet how his career would take off like a rocket - "Can't say I can [predict] the future, 'specially back then when the future was next week" - Jeff was beyond pleased with the turn of events: "It sure was exciting, thrilling and unbelievable!" 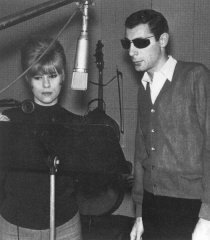 In October of 1962, Jeff wed Ellie Greenwich, herself a songwriter who was signed with Jerry Leiber and Mike Stoller's Trio Music. Jeff was signed to Trio as well and the newly married couple was given their own office in which to crank out tunes. Ellie introduced Jeff to her newest writing partner, Phil Spector, and the rest, as they say, is musical history. During 1963, the Barry-Greenwich-Spector team defined the Girl Group sound, with tunes like "Be My Baby" and "Baby, I Love You" (The Ronettes), "Then He Kissed Me" and "Da Doo Ron Ron" (The Crystals), "Not Too Young To Get Married" (Bob B. Soxx and The Blue Jeans) and "(Christmas) Baby Please Come Home" by Darlene Love. Jeff and Ellie even formed their own group, of sorts; one day the couple recorded a demo of a song they'd written on a train on their way into the city that very morning, with Ellie singing lead and all the female parts, Jeff providing doo-wop style background vocals in a bass voice, and the only instrumentation Ellie's keyboards and Jeff's drum kit. The song (and demo) was intended for a group called The Sensations. 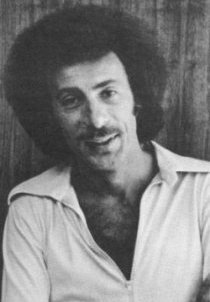 Instead, Leiber and Stoller sold "What A Guy" to the Jubilee Records label and the demo was released as a single under the name The Raindrops (chosen as a tribute to the then-popular Dee Clark song); it just missed the national Top Forty, peaking at #41. An eponymous LP was subsequently recorded, and a touring group was sent out to lip-sync the songs at various venues; surprisingly, Jeff, whose original goal had been to perform, turned down the chance to go with them. "Maybe it was [because] I wanted to sing LEAD!" Jeff quips, tongue not so firmly in cheek. The Raindrops hit the U.S. Top Twenty with "The Kind Of Boy You Can't Forget", but a single about another boy, "That Boy John", swiftly fell from grace after U.S. President John F. Kennedy was assassinated in Dallas, Texas in November of '63. A 16-year-old from Ohio, however, recorded his own version of the B side with altered lyrics; after a lengthy and convoluted journey to the national airwaves, Tommy James and The Shondells hit #1 on the Billboard charts with "Hanky Panky" in mid-1966. 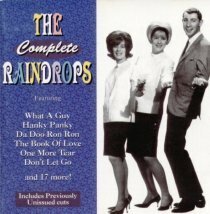 The Raindrops had also had high hopes for "Do Wah Diddy" (which was recorded by The Exciters as well) but were blindsided by Manfred Mann's release of the tune with an extra "Diddy" thrown into the title for good measure; its success spelled the end of The Raindrops' recording career. But the couple's biggest triumphs as songwriters/producers had only just begun. 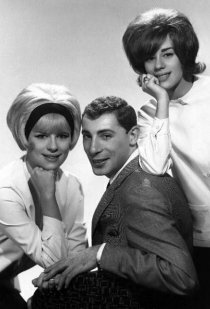 "Leader" was enough of a smash (no pun intended) to warrant a parody record; in late 1964, while the original was still on the charts, a group called The Detergents, comprised of session singers Ronnie Dante, Danny Jordan and Tommy Wynn, debuted on the American pop scene with "Leader Of The Laundromat". Members of the record-buying public were amused, but the original song's composers weren't and filed a lawsuit, which was eventually settled out of court. In an odd twist of fate, a member of the clean-up group would later join forces with one of those composers for what would turn out to be another chapter in the musical history books. 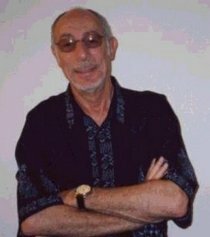 Ron Dante, who'd been a staff writer for Don Kirshner's Aldon Music prior to becoming a Detergent, was aware of Jeff's reputation as a hitmaker well before he knew Jeff personally. One day, he saw Jeff for the first time outside Mirasound Studios and was quite impressed by the six-foot-four-inch urban cowboy: "He was wearing leather and a cowboy hat [and] riding a huge motorcycle," Ron relates. "'WOW, what a cool guy,' I thought. The year I got into the music business, he and Ellie won 14 top awards at the BMI dinner for all the hits they wrote that year. Since he was one of the most honored writers in the [industry], I wanted to work with him." Ron would realize his goal within a couple of years: "I [was] booked on some background dates for Jeff but never spent any time with him." At least, he hadn't yet; that opportunity was soon to come. Knowing that Jeff didn't just pick anybody off the street with whom to make records, however, Ron must have taken pride in being tapped to do session work for him. Jeff had learned quite early on in the music business that, if you want a record to be the best that it can be, you surround yourself in the studio with talented people. He also learned that the learning never stops; proficient musicians become that way in part because they pick up tricks and techniques from each other. One such talented musician was arranger Artie Butler, who has fond memories of those days in the studio with Jeff. "[Jeff and I] worked together in my early days in the music business in New York in the Brill Building - the Red Bird/Leiber & Stoller days to be exact. I learned sooooooo much about making records from him," Artie enthuses. "He taught me how to throw away the rules at times, and go for the basic feel in a recording session. It's a lesson I am forever grateful to him for. Even today I find I still apply some of what he instinctively taught me." 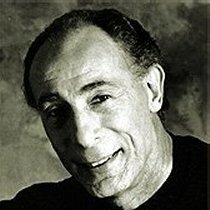 Sal DiTroia, a gifted guitarist whose artistry can be heard on a number of Jeff's recordings such as "Remember" and "Leader Of The Pack", agrees: "Artie [is] right. Jeff Barry did not follow the rules. He was so far ahead of his time. His energy in the studio was contagious. He had so much enthusiasm for his projects. I always looked forward to what I would learn and be able to take with me. He used to call me 'Sal the Hook.' I would come up with hooks on my guitar that people could identify with. One example is the guitar fill in 'I'm A Believer'. I thoroughly enjoyed his sessions. I miss that enthusiasm." Jeff's enthusiasm was no doubt given an extra boost by his innate adaptability; it was perhaps inevitable that the former engineering student brought his skills as an inventor into the studio with him. Anything that could produce a sound was fair game. Whether it was a traditional instrument played in a non-traditional way (pounding on a drum with a mallet), or a non-instrument pressed into service for a given session (pounding on a plastic garbage can with a mallet), Jeff's expertise as a producer-arranger was limited only by his imagination, which meant that it was virtually limitless. On The Dixie Cups' "Iko Iko", for example, ashtrays and glass pop bottles were tapped with pencils and drumsticks for percussion, and a curio that Jeff and Ellie had purchased in Jamaica while on their honeymoon served as a bass. The possibilities were endless, infinite, and Jeff's brilliant mind teemed with them. 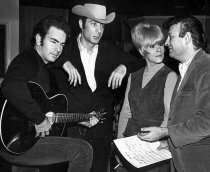 He and Ellie continued to write songs for artists not on the Red Bird roster; the couple penned "Maybe I Know" and "Look Of Love" for Lesley Gore, as well as "Don't Ever Leave Me" for Connie Francis, on which Jeff plays drums. Jeff also recorded a single, "I'll Still Love You" b/w "Our Love Can Still Be Saved", for Red Bird - two tracks that showcase his chameleon voice, which could easily shift gears to suit the material. "I'll Still Love You" was well on its way to becoming an R&B hit until it was discovered that Jeff was white, a fact that wasn't obvious from his lead vocal. Red Bird Records would survive for only a couple more years before being dissolved (as, ultimately, was Jeff and Ellie's marriage), but Jeff's career had hit its stride and was unstoppable. During 1966, Barry and Greenwich produced a young singer-songwriter for whom Ellie had been hired to sing a demo; his name was Neil Diamond. Ellie loved the songs he wrote, Jeff loved his vocal style, and the three of them, Diamond, Barry and Greenwich, joined together to form the publishing company Tallyrand Music. Neil was signed to the Bang label and enjoyed a string of hits including "Girl, You'll Be A Woman Soon", "Solitary Man" and "Kentucky Woman". Jeff and Ellie can be heard singing background vocals on many of the tracks, like "Cherry, Cherry", Neil's first release for Bang, which peaked at #6 on the national charts - his highest placement for the label. 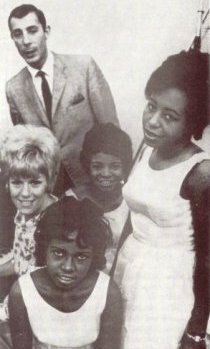 Jeff and Ellie also reunited with Phil Spector to write "River Deep - Mountain High", which Spector produced for Ike and Tina Turner, and "I Can Hear Music", recorded by The Ronettes (with Jeff producing) and, later, by The Beach Boys, who charted in the Top Forty with the tune in 1969. In 1968, Steed went from a canter to a gallop as Jeff began producing its newest artist, Andy Kim, who also became Jeff's primary writing partner during the three years they worked together. Andy had a string of hits on the Steed label, most notably "How'd We Ever Get This Way", "So Good Together" and remakes of The Ronettes' "Be My Baby" and "Baby, I Love You". Jeff breathed new life into these two "baby" songs with fresh and fantastic arrangements, such as a heavy percussive sound he effected in the latter by playing one component of the drum kit at a time (to prevent sound leakage), layering each one on the track like the petals of a flower. Another single, "Shoot 'Em Up, Baby", was fairly dormant on the hit parade until a periodical reported, erroneously, that the song was about drug use (an assumption that persists even today) - this resulted in a higher chart position, as people rushed to buy the record mainly out of curiosity. In true Jeff Barry style, the writer-producer sent a thank-you letter to the journalist who'd made the public allegations. The majority of the songs on Andy Kim's three Steed LPs were penned by Jeff and/or Andy; two of Jeff's tracks, "Mr. Music Man" and "Nobody's Ever Going Anywhere" (both of which appear on the Rainbow Ride album), were later recorded by Jeff himself - the former under the name The Mission, and the latter for an unreleased solo album. The Barry/Kim writing team turned out dozens of songs, including several for a band that, despite never having toured or granted interviews, still managed to earn gold records for two of the duo's compositions - and Record of the Year honors for one of these. Of course, Jeff had no way of foreseeing this when he got a call from Don Kirshner asking him to be the main songwriter and producer of the music for a forthcoming kids' cartoon series. The Archie comic strip characters were being brought to the small screen, and five of those perpetual teens had formed a music group. Jeff's job was to make that group sing. To a generation of Late Boomers, Jeff is best known for his work with The Archies. If Don Kirshner was the brain behind The Archies, and Ron Dante the voice, Jeff Barry was the group's soul. From the moment Kirshner tapped him to oversee the Archies project, Jeff not only survived this previously uncharted musical territory, he thrived. It was summer of 1968, and The Archie Show was all set to debut on CBS-TV that September. Jeff hit the ground running, penning nearly forty songs (including specialized tunes for Dance-of-the-Week segments) and supervising everything from the laying down of the tracks to the overdubbing to the final mixing, all in a single chaotic (and exhausting) week. Ron says: "I remember the first [Archies] session with Jeff. He really wanted a certain sound from me and pushed me to work as hard as I ever had to put the right tone to my voice." Ron recalls the first song he recorded for The Archies as being "Truck Driver", which was ultimately the B-side to the group's debut single "Bang Shang A-Lang". The sessions were fun and, for Ron, educational. "I watched Jeff work the rhythm section for quite awhile, getting just what he wanted from the guys in the band, especially the bass player. Jeff seemed to really zero in on the bass on all his recordings. He wouldn't take just the first thing the bass player came up with. Also, every record had handclaps and percussion like shakers and tambourines; Jeff loved the sounds of percussion on all his hits." The Archies would eventually turn out six albums (including a Greatest-Hits compilation) and eleven singles; their third release, the Barry/Kim composition "Sugar, Sugar", was the charm, crystallizing at the #1 spot nationally and ultimately becoming RIAA Record of the Year for 1969. This was no fluke; Jeff's production genius is evident in every note, from the cut's trademark bass line (apparently the "zeroing-in" paid off in a big way) to its famous Caribbean-style riff; the mix is nothing short of elegant. "Watching Jeff mix his records was an education," notes Ron. "He took over control of the sound board and mixed very fast, getting just the right blend of sounds to make him happy. The Monkees' 'I'm A Believer' and our Archies' 'Sugar, Sugar' are two of the finest mixes ever." The group's fourth single, "Jingle Jangle", also penned by Jeff and Andy, earned a second gold record for the group. This track, like several other Archies cuts, featured a guest vocal by its writer/producer. "[Singing] background vocals with Jeff was always fun," Ron declares, "since he loved to join in on some songs doing his bass voice." was my mentor," Robin states. "I learned so much from him about songwriting and producing, knowledge that I never would had if not for him. Even though we [took] our work seriously, he knew how to make everyone always feel at ease and have fun." Robin had a U.S. Top Twenty hit with "Lay A Little Lovin' On Me", co-written by Jeff and Robin with Jim Cretecos, and an album of the same name was subsequently released. The winds of change were blowing, and the sturdy oak was beginning to bend a little - towards the west. In 1971, Jeff released the mighty Steed and moved his home and his base of operations to Los Angeles, California. He drove all the way, coast-to-coast, along with Robin McNamara and Bobby Bloom - an odyssey to end all odysseys. It's an understatement to say that the guys didn't always keep to the speed limit on the long stretches of highway. 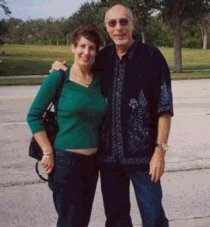 To this day, Robin has fond memories of their excursion across the various countrysides, cityscapes, and deserts: "I will always remember our cross-country road trip together along with Bobby Bloom; it was an amazing whirlwind three-day journey. I felt like Jack Kerouac in On the Road." Having arrived in the City of Angels in one piece, Jeff wasted little time in getting back to business. Jeff Barry Enterprises became Jeff Barry International, and its namesake went on staff at A&M Records. During the early part of the 70's, Jeff not only wrote and produced for acts such as Nino Tempo and April Stevens, he also found time to record his first solo LP, for the A&M label, in 1973. It's one of the largest disappointments in musical history that the ten-track album, Walkin' In The Sun, was never released beyond a handful of test pressings. In addition to the title cut, the LP featured "Nobody's Ever Going Anywhere" (previously recorded by Andy Kim) and "You're The Violin" (also recorded by football great Rosey Grier), as well as "When It's Over", which Three Dog Night later cut as an album track. 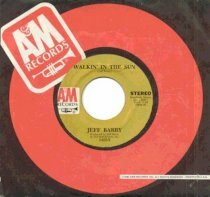 Fortunately, "Walkin' In the Sun", a masterpiece that is arguably one of Jeff's finest compositions, was released as a single on A&M, with a funky soul number, "Watcha Wanna Do", as the flip side. 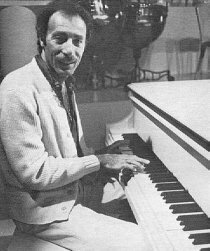 Also during the 70's, Jeff wrote the themes for several television shows, most notably The Jeffersons ("Movin' On Up", penned with actress Ja'Net duBois who also sings the track) and One Day At a Time. In 1974, Jeff collaborated with Peter Allen on a tune that the latter intended to record himself. The writers put together a piano-and-voice demo, with Peter singing, for Jeff to use when engaging an arranger for the forthcoming session. Songwriter-producer Artie Wayne, then head of Irving-Almo Music (A&M's publishing company) was unaware of Jeff's intentions when Olivia Newton-John contacted him looking for material; he learned about the existence of Peter Allen's demo, passed it on, and not too many weeks later, much to Jeff's surprise, Olivia's heartfelt version of "I Honestly Love You" was on its way to the top of the charts and Song of the Year honors. 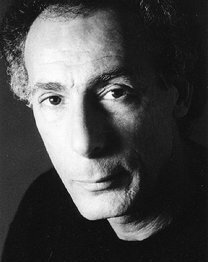 In 1980, Jeff was tapped to compose the music for The Idolmaker, a movie based on the life of Robert Marcucci, the renowned songwriter/producer/agent. 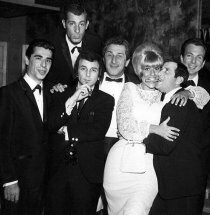 Phil Spector had just been removed from the project some months after Jeff had already attempted to collaborate with him on writing the songs for the film - a fact that the producers, who'd contacted Jeff purely by coincidence, were unaware of until Jeff enlightened them. The Idolmaker features ten original Barry tunes, including "Here Is My Love", performed by Jesse Frederick, "Ooo-Wee Baby", sung by Darlene Love, and the inspirational "However Dark The Night", a showstopper performed by Peter Gallagher. Jeff also continued his television work, composing the theme for a new television sitcom, Family Ties, in 1982; the track, "Without Us", was sung by Johnny Mathis and Deniece Williams. 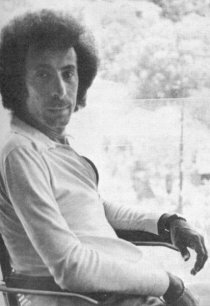 In 1984, "The Last Time I Made Love", which Jeff wrote with Barry Mann and Cynthia Weil, was a U.S. Top Forty hit for Jeffrey Osborne and Joyce Kennedy. and a rather amazing individual the more one gets to know him. It is customary for the biographer to remain objective and not break the "fourth wall" by including personal observations or speaking of himself or herself in anything but the third person (often by using the phrase "this writer"), and doing so as sparingly as possible. But since Jeff has had such an incredible career by throwing away many of the rules, this writer felt it appropriate to do likewise. First of all, although I have attempted to acknowledge as many of Jeff's major milestones and hits as possible, this biography is far from all-inclusive; I had to leave out a lot of finer points, names, backstories, and even several hit records so as not to end up with a fifty-page manuscript. And, second, writing a biography on a living person is much different from penning one on somebody who's no longer with us - the individual's life is still a work in progress - and when the biographer personally knows the subject, as is the case here, another dynamic enters the picture. Jeff and I have been acquainted for several years, and we met in person for the first time in November of 2005 (this is not an unusual statement in the age of the Internet). I have found Jeff to be an incredibly generous guy, with a big heart, a loving and giving nature, a terrific sense of humor (which at times can be dry or cynical but never abrasive), and more talent than ten people. I also perceive him as being a very pensive individual, as though he is at times mentally reliving his entire life, brooding over the parts that displease him, and trying to rewrite the script retroactively. He appears to use both hemispheres of his brain - the right, "creative" or "random" side, and the left, "logical" or "linear" side - in equal measure, and, if that's the case, he is among a very small percentage of human beings about whom this can be said. His blue eyes carry in their depths a kind of thoughtful sadness, an expression that has customarily been misinterpreted as "sleepy" by several journalists over the years. Like many thinking people, Jeff occasionally tends to overthink, and this can be a double-edged sword; it's this combination of sensitivity and genius, as well as his own life experience, that has enabled him to write such beautiful songs. It isn't just a cliché that great art often results from great pain. That's not to say that Jeff is an unhappy person - merely that, like all of us, Jeff has many facets to his personality and, when he's in creative mode, he taps into whatever resources are needed in order to create. Jeff is a born entertainer and a lot of fun to know, and that dominant sense of fun, not unnoticed by his friends and colleagues, is what has endeared him to so many people. Jeff Barry is almost universally beloved, and it's practically a given that anyone speaking of Jeff's role as producer/arranger/composer will also add a few words of personal admiration. Artie Butler's comments about working with Jeff in the studio, for example, were bookended by his thoughts about Jeff the person: "I have the utmost respect and love for Jeff Barry. After all these years Jeff's success has not changed him a bit. He's still very talented, he's still very unassuming and he's still very tall. I adore Jeff. Always have, always will." Ron Dante states, "Jeff is an incredible talent. His body of work goes on and on. He is one of the giants of the music industry." Robin McNamara adds, "I hope soon [Jeff] is voted into the Rock & Roll Hall of Fame, an award he richly deserves." Although he has referred to himself as semi-retired for a number of years now, Jeff is probably never going to stop working entirely; for one thing, it isn't work as far as he's concerned, and, for another, his creative juices will more than likely continue flowing until the end of his life. I wondered whether Jeff still has a lot left to say, whether that's the driving force, but as he put it: "It's not so much that I have more to say, it's just that I can't stop creating." Where does it all come from, this ambition, this desire to continue inventing something new out of thin air, over and over? Who knows? And who cares when the results are as sublime as what Jeff has already brought to the world? We don't question where the beauty of a flower or a sunrise or a song comes from; we just enjoy it. As Jeff himself says modestly, "I think it's fair to say, when you have it in you, it stays in you and there's no way to really let it all out - I know I haven't yet." Many, many thanks go to Don "Stuffed Animal" Charles, without whom this biography would scarcely have been possible. 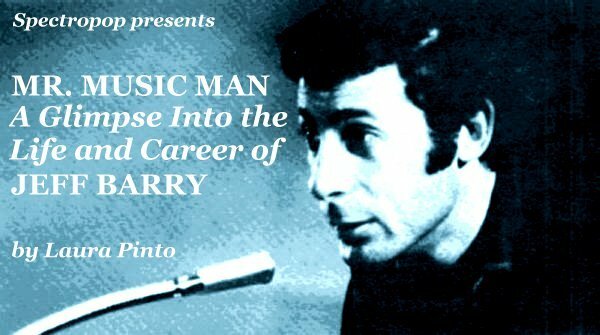 Over the years, Donny has spent untold hours researching and writing about the life and career of Jeff Barry; it was to his sources I most often turned while composing this essay. My heartfelt thanks also to Artie Butler, Sal DiTroia, Robin McNamara, and Artie Wayne, with special thanks to Ron Dante for sharing his memories of working with Jeff on The Archies' recordings. Last but certainly not least, all my love to the subject of this piece, the man himself, Mr. Jeff Barry. Jeff, it's no wonder that you're so large in stature - all of the wonderful qualities you possess would not have fit in a smaller container. Thank you for all your help in putting this essay together; couldn't have done it without you, big guy. Thanks also for your wit, your talent, your genius, and your friendship … but most of all thanks for being Jeff Barry. Baby, I love you!